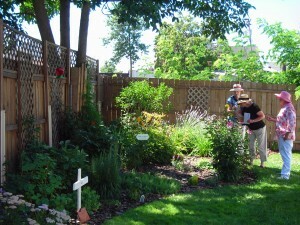 The garden of Geri and Dominic Mitro of 701 Orchard Parkway, featured on the third annual Orchard Parkway Garden Walk in Niagara Falls, expresses their gratitude to God. 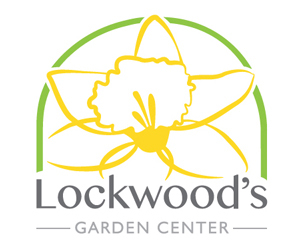 “After praying for three years to find our new home in 2004, we felt so blessed we wanted to glorify the Lord with our landscape,” they wrote in the garden walk brochure. LED lights are strung around the cross in the garden surrounding their front porch, which you can see in the first photo. 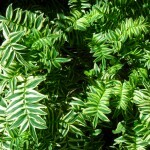 But what’s unusual is that the Mitros select plants with names that have some tie to the Bible. There is a white phlox by the name of David, and a burning bush that turns red in the fall. Pictured at left is yellow archangel, which has finished blooming with yellow flowers. There are two varieties of Jacob’s ladder. They’re done blooming for the season, but one gets white flowers, and the variegated variety, which is pictured at right, blooms in blue. 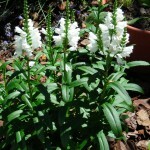 The white obedient plant, pictured at left below, grows straight and upright. 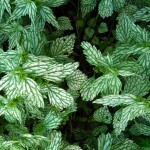 The Mitros also have lamb’s ear, bleeding heart, a praying hands hosta, lily of the valley, Solomon’s seal, trumpet vine, and for Catholics, a cardinal plant. 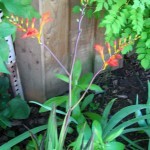 Then there’s the bright red Lucifer crocosmia, named for a fallen angel, pictured at right below. “I think this plant is absolutely gorgeous,” Geri said. To plan her garden, Geri started with a piece of graph paper with a outline of her garden drawn to scale. Then she used several different vinyl overlays, one for each blooming period. That way, she could make sure she has something blooming continuously. Another tip: plan the spring bulbs last, she said. They’ll be noticed no matter where you place them because your other plants won’t be up yet. Tuck them in places where later foliage will fill in the spot. The Orchard Parkway Garden Walk is located in the downtown core with whispering thunder from Niagara Falls just a five-minute walk away. 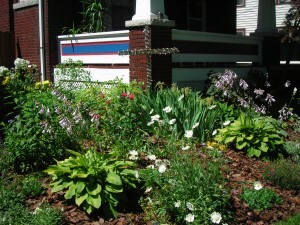 There were than 60 gardens shown, all within a quarter-mile walk on two city streets. 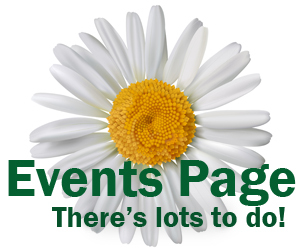 The walk is free, with the help of the Orchard Parkway Block Club and the Niagara Block Club Council. Orchard Parkway and Chilton Ave. have officially been listed on the Register of Historic Places, and the application for the National Register has been submitted. From left, Margaret Kalogeropoulos of St. Catharines, Ont., and Carol Carreno and Gretchen Greene, both of Youngstown, enjoy the Mitros’ backyard garden.